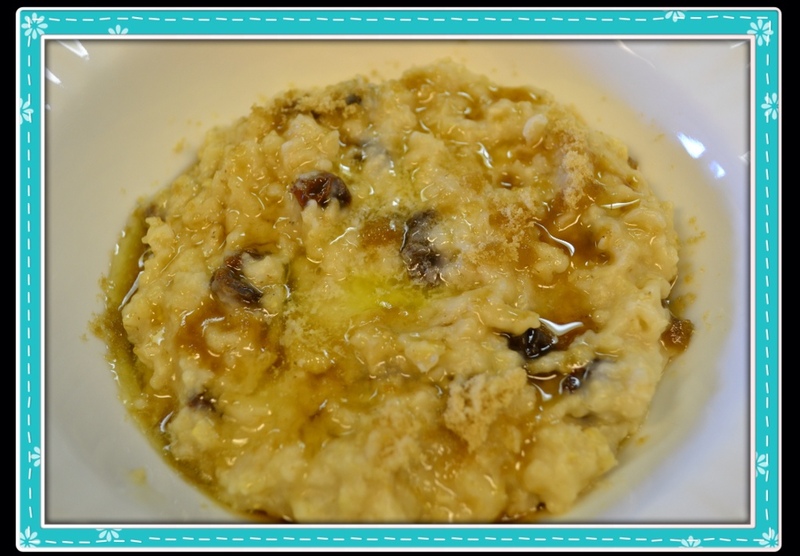 Over at Julie's: Breakfast Porridge or Eatmeal! 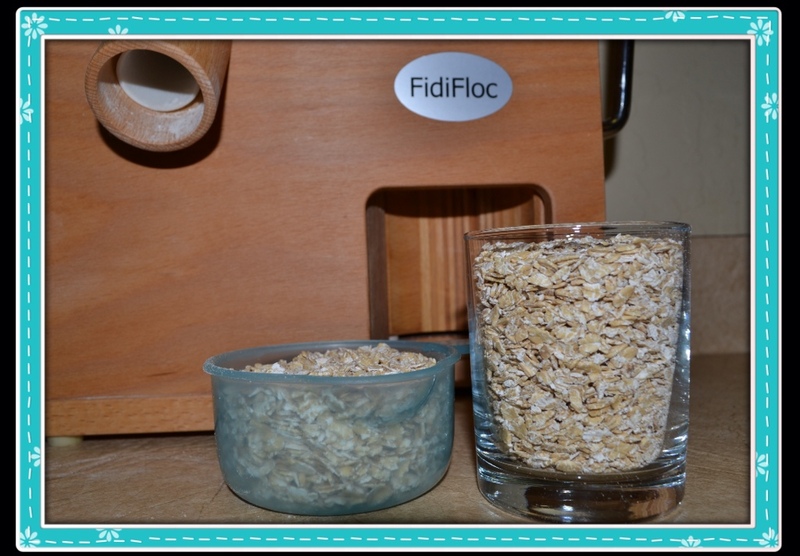 Who knew that soaking rolled/flaked oats overnight will offer your body the highest benefits and allows the body to better absorb those beneficial nutrients? All these years, and I thought by serving my family old-fashioned oatmeal, they were receiving not only superb flavor and texture but, greater nutrition. Then I read NOURISHING TRADITIONS, by Sally Fallon and realized that all whole grains contain phytic acid which combines with other minerals in the intestinal track and blocks their absorption. By soaking grains overnight, you are allowing enzymes, lactobacilli and other helpful and healthful organisms to break down and neutralize the phytic acid . . . Resulting in nutrition that is easily absorbed into your body! Breakfast Porridge or as we call it around here . . . Eatmeal! Last night after A J and Hannah crashed, I pulled out the organic oat grouts and flaked 2 cups of them for their favorite breakfast . . . Oatmeal! I then placed the oats in a bowl with 2 warm cups of filtered water to 2 cups of oatmeal and 4 tablespoons of yogurt whey. I gave it all a stir and covered the bowl and let it sit out on the counter while we slept. BREAKFAST PORRIDGE - Serves 4, recipe may be doubled. 2 cups warm filtered water plus 4 tablespoons whey, yogurt, kefir, or cultured buttermilk (if you are lactose intolerant, you may substitute apple cider vinegar or lemon juice). Soak oats in 2 cups warm filtered water, plus 4 tablespoons of whey, yogurt, kefir or cultured buttermilk for at least 7 hours, or as long as 24 hours for the optimum benefits. In the morning, bring 2 cups of filtered water to a boil in a large saucepan. 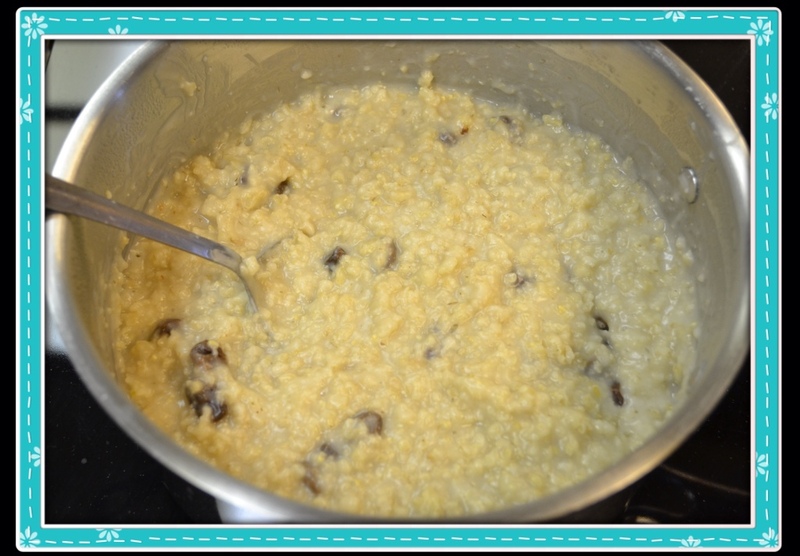 Once water is boiling, add soaked oats, salt, and optional fruit. Turn burner down to a low simmer, stirring occasionally, about 4-5 minutes, or until water is absorbed. Meanwhile, grind optional flax seeds or chia seeds, using a coffee or herb grinder. When porridge is done, remove from heat and add ground seeds; let sit for a few minutes. 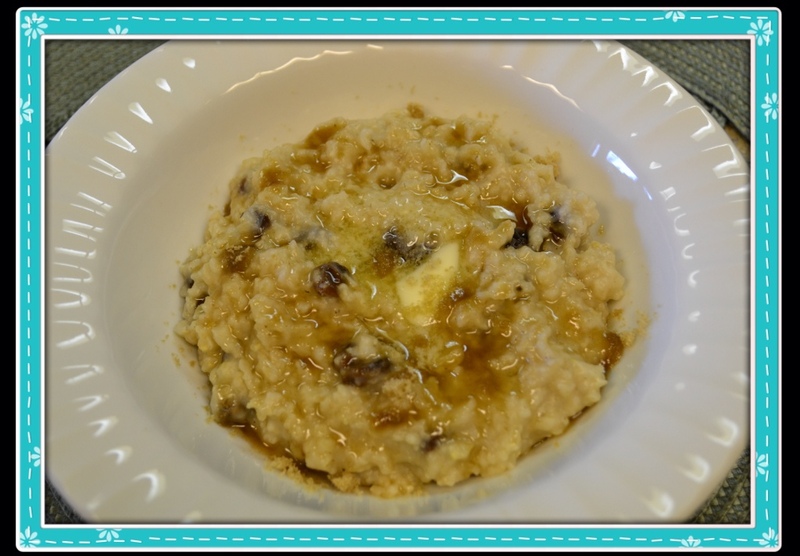 Serve porridge with a dab of butter or cream, and if desired, a sweetener like raw honey, maple syrup or brown sugar. Oat grouts freshly flaked . . . Sweet and chewy! Whether you flake your own fresh oats, buy old-fashioned or steel cut oats you will be getting greater nutrients from your oats. 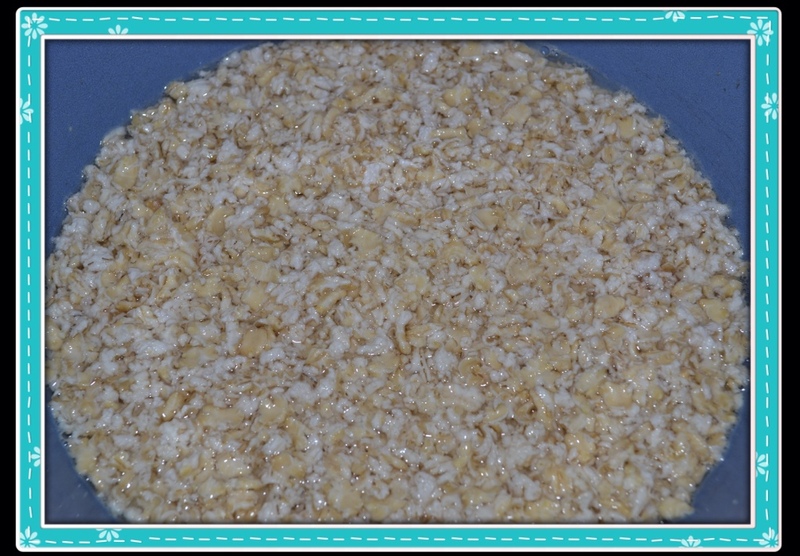 I have found that by using a flaker my oatmeal tastes sweeter and has a fresher, oatier flavor than store bought rolled oats. Soaking your oats will make your oatmeal's texture creamier, not gluey, with a little bite still. Soak 2 cups of oats in 2 cups of warm filtered water and 4 tablespoons of yogurt whey. 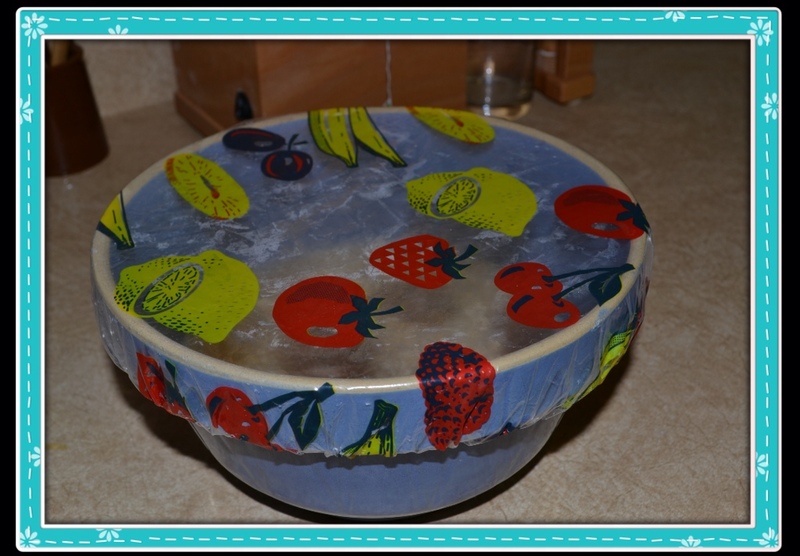 Cover bowl and let oats sit on the counter/ bench overnight. 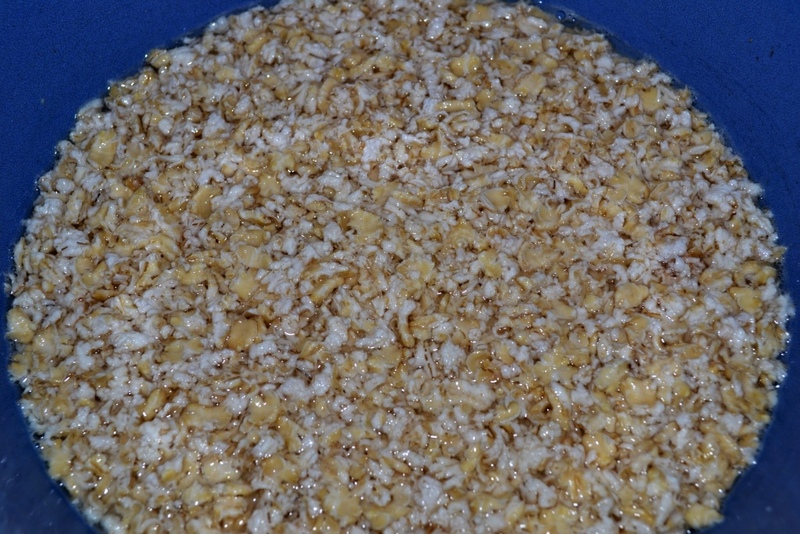 How soaked oats look in the morning. Eatmeal . . . Hot, creamy, oatey goodness! A dab of sweet butter a touch of brown sugar, and I'm a Happy Camper! 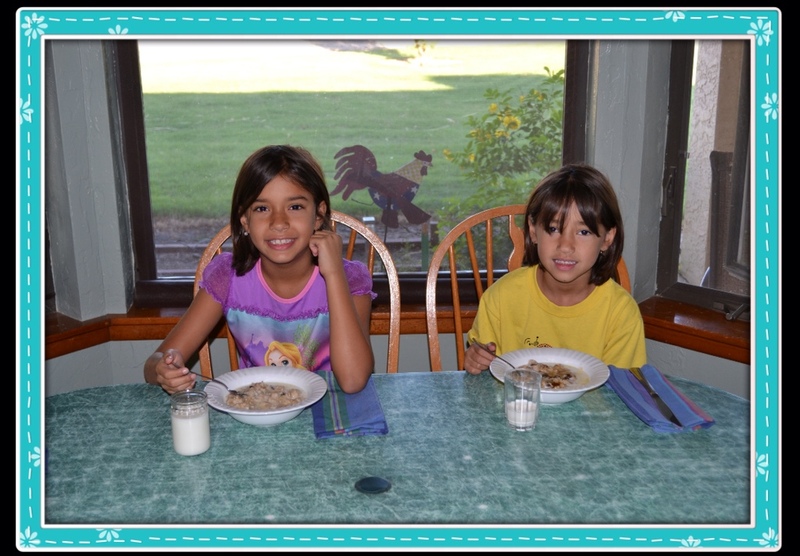 A J and Hannah enjoying homemade Breakfast Porridge. Today I finally did it . . . I threw away the 2 remaining boxes of stale cold cereal taking up room on my shelves. It's not that difficult to serve a healthy bowl of breakfast porridge with a little planning! It's warm, and nourishing, both physically and emotionally and, it gets our families off to a great start! At least that's how I see it . . . Over at Julie's!! !